HAKAM comment: MCMC said blocked according to laws of the country. The laws have not changed (yet) so, why unblock? Isn’t that evidence of your arbitrariness? We need new MCMC commissioners appointed to replace this group who has no respect for the Rule of Law. The Malaysian Communications and Multimedia Commission says it blocked GE14 results site live.undi.info on polling night over concerns the results were not correct. In a post on its Facebook page, MCMC says it acted on complaints from the public that the results and information displayed on the site were inaccurate. 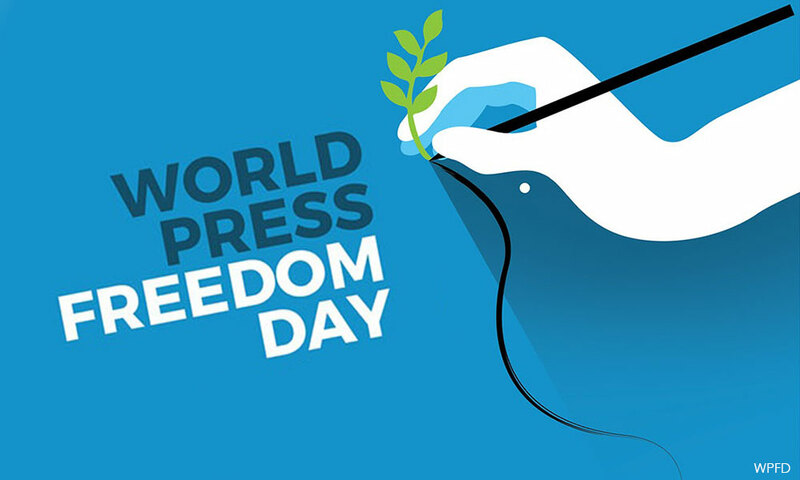 Today, World Press Freedom Day, was declared to raise awareness of the importance of freedom of the press and remind governments of their duty to respect and uphold the right to freedom of expression. KUALA LUMPUR, March 27 — Journalist groups urged the government today to withdraw or to redraft the Anti-Fake News Bill in consultation with media practitioners to preserve press freedom. In a joint statement, WAN-IFRA Media Freedom Committee Malaysia (MFC Malaysia) and Institute of Journalists Malaysia alleged that there was no engagement between the government and representatives from the media industry ― as one of the most important stakeholders ― prior to drafting the Bill that was tabled in Parliament yesterday. “Any legislation on fake news would inevitably affect the media industry, and it is our firm belief that we should be seen as the most important stakeholders as opposed to social media platforms and companies that the government had engaged with. “The Bill tabled reflects this lack of engagement with media, as it overlooks the impact it could have on the media and does not provide any safeguards for the industry here,” they said in a statement. PETALING JAYA: Several groups have welcomed the Government’s move to review the Printing Presses and Publications Act 1984 (PPPA). This comes after Deputy Prime Minister Datuk Seri Dr Ahmad Zahid Hamidi pledged on Tuesday (March 13) to review the controversial PPPA, a law that is seen to curtail freedom of speech, in particular, freedom of the press. Under the PPPA, all printing presses need to obtain a license that can be revoked or suspended for any period. A media lecturer at University of Nottingham Malaysia, Gayathry Venkiteswaran, lauds the Government’s move to review the Act. “I hope that there will be a review towards repealing the Act entirely,” she said. KUALA LUMPUR: Reporters Without Borders (RSF) has urged the government to drop the proposed law against fake news due for debate in the current Parliament session. In a statement today, RSF said the proposed law had “all the hallmarks of a new government weapon for suppressing media freedom”. It said the bill had been finalised by a special committee – comprising representatives of the government, police, National Security Council and Malaysian Communications and Multimedia Commission (MCMC) – set up by Prime Minister Najib Razak on Jan 30 after he and his government declared war on “fake news”. It also noted that there were already sufficient laws – such as Article 8A of the 1984 Printing Presses and Publications Act and Article 233 (1) of the 1998 Communications and Multimedia Act – which penalised the dissemination of false news and information. PETALING JAYA: Groups representing journalists are troubled over the announcement that authorities are probing an online news portal for alleged “insults” against Prime Minister Datuk Seri Najib Tun Razak. In a joint statement, Gerakan Media Merdeka (Geramm), Wan-IFRA Media Freedom Committee (Malaysia) and Institute Journalists Malaysia (IoJM) said the Malaysian Communications and Multimedia Commission (MCMC) must explain their grounds for investigating The Malaysian Insight.